ATS Automation, Collaborative Efficiency, Ecotope, Integrity Energy Services, McKinstry and MacDonald Miller have all joined NEEC in endorsing I-1631. We hope this FAQ will help your business understand how the initiative, if passed, might impact our industry. Initiative 1631 (I 1631) is a proposed citizen’s initiative for the November 2018 general election in Washington State. If approved by the voters, the act would establish a fee on large emitters of carbon pollution creating annual funds for investment in clean energy, healthy forests and healthy communities. Can funds go to energy efficiency investments? Yes. One of the specific strategies in I 1631 calls for increased investments in energy efficiency. How much is the carbon pollution fee? The fee begins on January 1, 2020 at $15 per metric ton of carbon content and thereafter increases by $2 per year (plus inflation) each year until it becomes fixed when the state’s 2035 greenhouse gas reduction goal is met and the state’s emissions are on a trajectory that indicates that compliance with the state’s 2050 goal is likely. 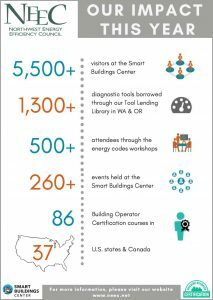 How much could I 1631 grow the energy efficiency industry? 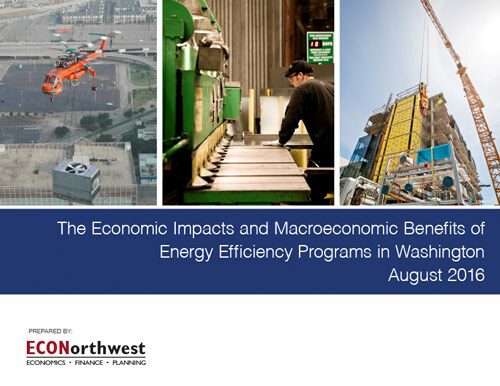 An analysis by the economic consulting firm ECONorthwest for the Northwest Energy Efficiency Council (NEEC) found significant job growth and economic development benefit from a 50% increase over baseline in energy efficiency acquisition in Washington State. Step 2: Provide a business and/or personal financial contribution to the I 1631 campaign. There will be opposition to this initiative from oil and gas interests, so getting the positive messaging out about energy efficiency and other clean energy sources requires resources. Step 3: Vote yes on I 1631. Where can I get more information on how to support I 1631? NEEC has endorsed I 1631 and can help you with a formal endorsement on the initiative and in making campaign contributions. Call 206-292-5592 or send an email to info@neec.net. Download a copy of I 1631 here.